On Monday 20th August, Greece has officially ended its dependence on the International Bailout Program – the so-called “Memorandum” – that began in 2010, when Eurozone states and the IMF came together to provide a first tranche of loans, continued in 2012 and 2015. The agreement aimed at restoring public finances, promoting reforms and stabilizing the debt to output ratio, when Greece lost market access to funds – because of a ballooning budget deficit, huge public debt and an underperforming economy. Marking the official end of the third bailout programme, Pierre Moscovici, the European commissioner for economic and financial affairs, said Greece was beginning a new chapter after eight “very difficult” years. 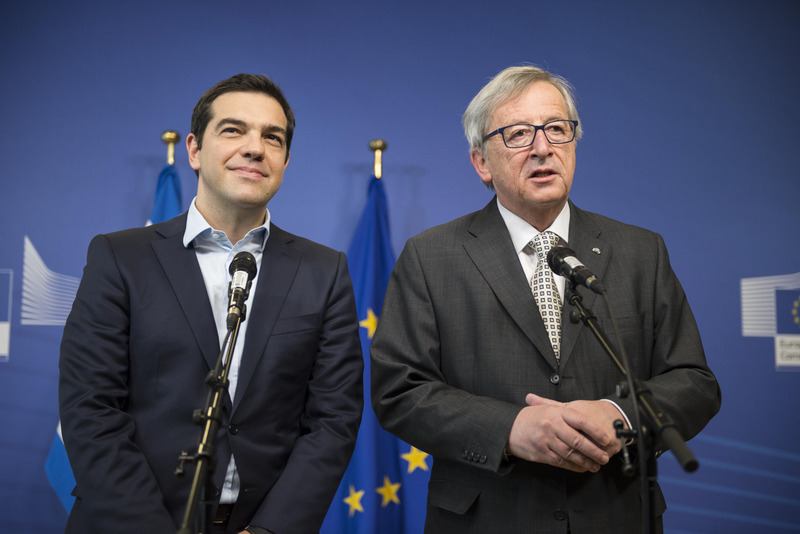 But “from today, Greece will be treated like any other Europe area country,” he added on Monday. Also the Prime Minister, Alexis Tsipras, told a meeting of MPs: “Greece is once again becoming a normal country, regaining its political and financial independence.” And furthermore Mário Centeno, the chair of the European Stability Mechanism – the EU bailout fund created as a result of the financial crisis – said “it took much longer than expected but I believe we are there. Greece’s economy is growing again, there is a budget and trade surplus, and unemployment is falling steadily”. Despite this optimism, huge questions remain about how a country scarred by austerity can now recover. In fact, the strategy of austerity may have long-term consequences and, even if the Greek economy has recently been growing, the country still faces an uphill battle to regain its stability. During the last eight years Greece lost a quarter of its Gross Domestic Product (GDP), due to cuts and taxes put in place in order to repair the nation’s finances. As the newspaper The Guardian explains, Greece has the highest government debt in the EU – 177% of its GDP – the banks are weak, almost a fifth of Greece’s working age population is out of work and about a half-million mostly younger Greeks migrated. Greece will also need to continue to repay its international loans until 2060. On the other side, Greece’s government has said the country is “turning a page” after Eurozone member states reached an agreement on the final elements of a plan to make its massive debt pile more manageable. The plan allows Greece to extend and defer repayments on part of its debt for another 10 years and gives Athens another €15bn in new credit. But with Greece subject to enhanced surveillance for the next decade, a wave of scepticism – with regard the possibility to pay back the debts – it has been triggered. The main opposition party New Democracy reacted to the deal with mistrust, saying it reflected the lack of faith international creditors had in Athens’ ability to successfully return to capital markets. The economics editor Nick Malkoutzis wrote on the website Macropolis that “It’s not yet time to celebrate […] the last eight years have produced nothing but adversity. Rather than mark the end of the third and final programme with bombastic speeches, we should be contemplating the impact of the crisis […] and how we can avoid such an economic disaster from happening again”. Also for the Greek Editorial Ta Nea nothing is going to change – because of creditors’ relentless demands. So, the new era of Greek’s financial independence is still uncertain and the various opinions about its destiny are divided and contrasting. For sure, prudence, moderation and a climate of cooperation (i.e. between the country’s political forces, loans institutions, Eurozone and the others actors included) may will be an effort to minimize the consequences of the crisis and to speed up the economic growth of Greece.